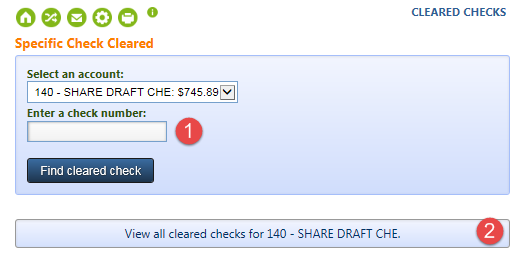 Once you login to online banking, select My Accounts and under the View heading, select Cleared Checks. If you know the check number, enter it (1) and select the Find Cleared Check button. You can also select the "View All Cleared Checks" link (2) to see all cleared checks for your account. From here, you can see all of the checks you have written. To view the individual checks, select the "View Check" link located in the Description field. 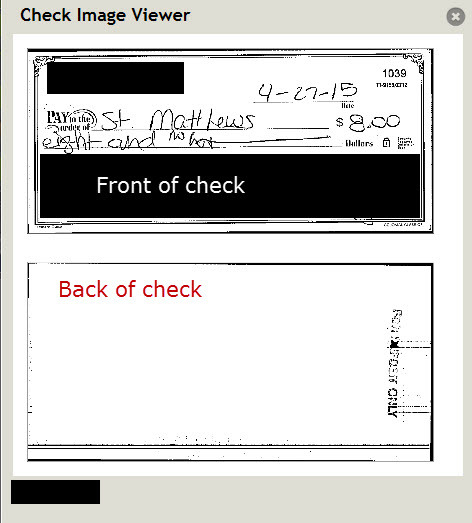 Once selected, you will see your check through the Check Viewer and have the option to print the check.